All the above situations can lead to dangerous falls and different equipment such as aerial lifts should be used in this type of situation. 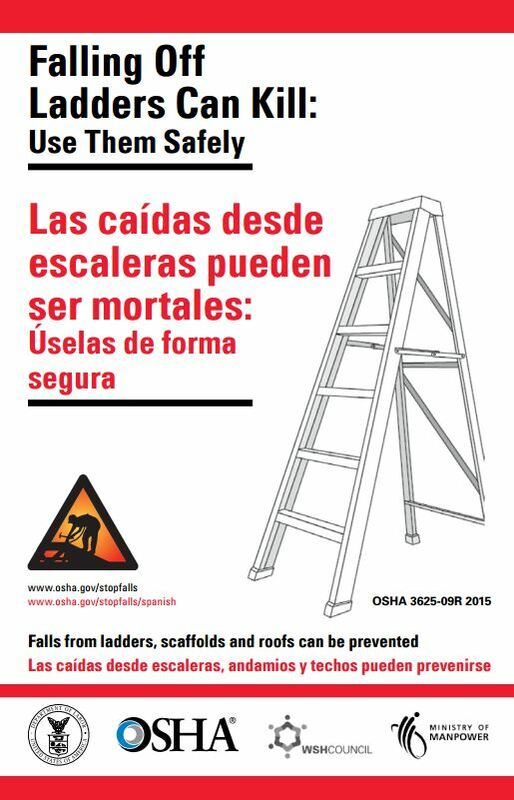 If it is safe to use a ladder, workers should still be careful and make sure that they are using the appropriate ladder. The ladder should be long enough so the worker doesn’t have to stand on the top rung. The ladder should always be placed on stable ground and the base should always be proprely secured. It is also important to make sure that the ladder is fully extended. Use barrier or cones to prevent people passing by to be hurt or to trip on the ladder. Always keep your weight centered and make sure to maintain 3 points of contact with the ladder at any time. Do not carry heavy equipment or material and if you use a ladder near a doorway, make sure the door is locked. Ladders should be proprely stored and maintained. Always check that it is in good condition before you start working with it. Don’t use ladders that are bent or that have a missing step. Also verify that the spreader bars can lock. 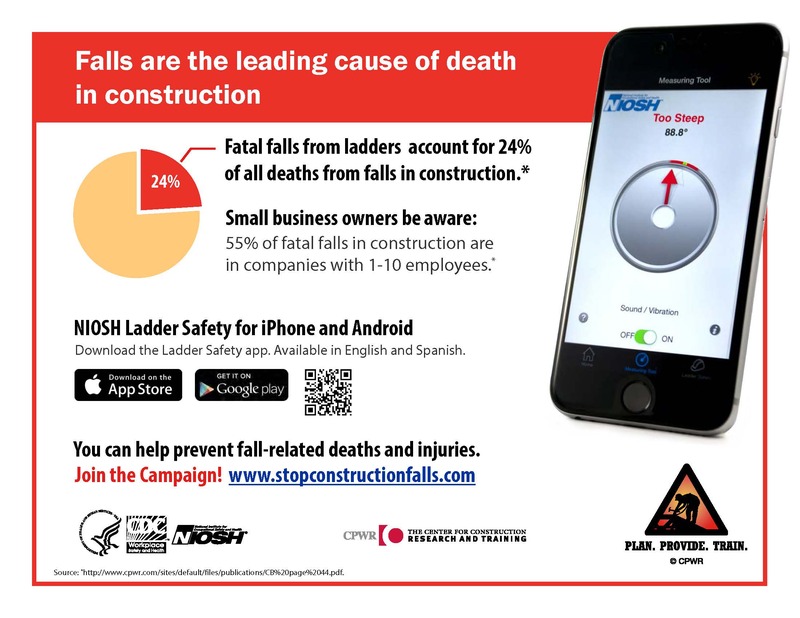 By following these simple safety steps employers and their workers will prevent most falls from ladders.